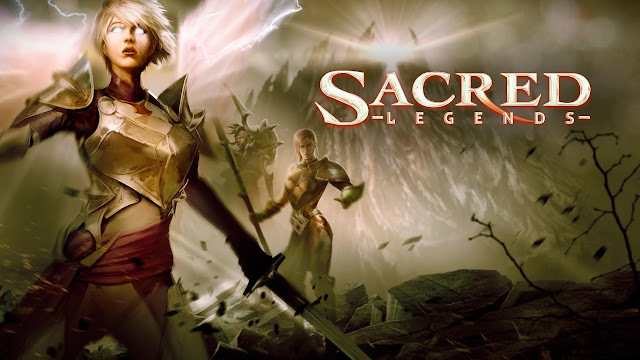 Sacred Legends - When the Gates of Hell are opening, true heroes must rise to save Ancaria! Fight gruesome monsters, collect epic loot, forge magic items and become a powerful hero in Sacred Legends, the brand-new mobile multiplayer game based on the popular fantasy RPG! Sacred Legends is optimized for a wide selection of state-of-the-art Android tablets and smartphones, including Samsung Galaxy S7 Edge, Samsung Galaxy S6, Samsung Galaxy Tab 3 10.1, Samsung Galaxy Note edge, Samsung Galaxy Note 2, Google Pixel C Tablet, Huawei Nexus 6P, LG Nexus 5 & 4, LG G4 & G3, Sony Xperia Z4 Tablet (SGP771), HTC NEXUS 9, Moto G 3rd Gen, Motorola Nexus 6 and M1 Note FHD. If your device is not included in the list of supported hardware, we can’t guarantee the performance. As the Demon Lords scheme of re-open the Gates of Hell, the once-thriving kingdom of Ancaria is about to drown in chaos, war and subjugation. But there is still hope. Take up thy blade or bow and go on an adventurous quest. Can you save the realm from going up in flames? Free the ill-fated realm of Ancaria from the tight grip of demonic oppressors. Team up with your fellow players to form hard-hitting parties. Benefit from your companions’ progress and experience as you face monsters, necromancers and other henchmen in normal, veteran and elite campaigns. Or stand your ground in the PvP arena to make your name known throughout the kingdom. The blacksmiths of Ancaria are true masters of their craft. Equip your hero with ever-new weapons, armors and ornaments that boost your might. Collect loot from your fallen enemies and use magical runes to forge unique items of unbelievable power. To run properly, the app requires a minimum of 1GB RAM. If your device is not included in the list of supported hardware, we can’t guarantee the performance. Android OS 4.3 and higher is required to run the app. While the game itself is completely free-to-play, you can also make use of various in-app purchases. Sacred Legends: install APK and play the game.